Welcome to Your Next Chapter! Back to the daily grind! It can be tough to live within your means at the best of times, so budgeting for Christmas is no easy feat. We’ve put together a few simple stress-free solutions to help you cut costs. Avoid spending a fortune on your nearest and dearest by organising a Secret Santa. You can set a manageable budget that everyone sticks to and buy something fun or personal. Find it tricky to organise? Try an online Secret Santa organiser like Elfster – a platform for gift-giving between family and friends that’s easy and fun to use. If you want to celebrate with friends, but don’t want to spend a fortune going out, dig out your favourite Christmas jumpers and have a drinks party at home. Ask everyone to bring a bottle and geta few friends to bring something to eat. Amazon Warehouse, eBay Outlets and Facebook Marketplace all offer discounted goods. Whether they are ‘warehouse-damaged’ (e.g. box has been opened), end-of-line, vintage or refurbished items, there’s lots of bargains to be found. Almost all online retailers ask you to subscribe to their newsletter when you arrive on their site. If (like us) you usually ignore this, think twice! Most ‘welcome’ emails include a 10% discount which you can use on your first purchase. And often, regular newsletters include random discounts or alert you to ‘flash sales’. Look on websites like MyVoucherCodes.co.uk, VoucherCloud.com, and Groupon.co.uk – find deals for anything from beauty to groceries, free delivery to percentage discounts. Another sneaky way to get a discount for a specific item is to add it to your basket, leave it there and exit the page. If you’re signed in, the retailer will usually email you a reminder and sometimes offer you a discount to purchase (N.B. This doesn’t work for ASOS as your ‘bag’ moves to ‘saved items’ after 1hour – some other sites do this too). Spread the cost of Christmas by buying presents throughout the year. Yes, this takes some planning, but if approached in an organised way, you will ease some of the festive pressure and thank yourself for it in December! 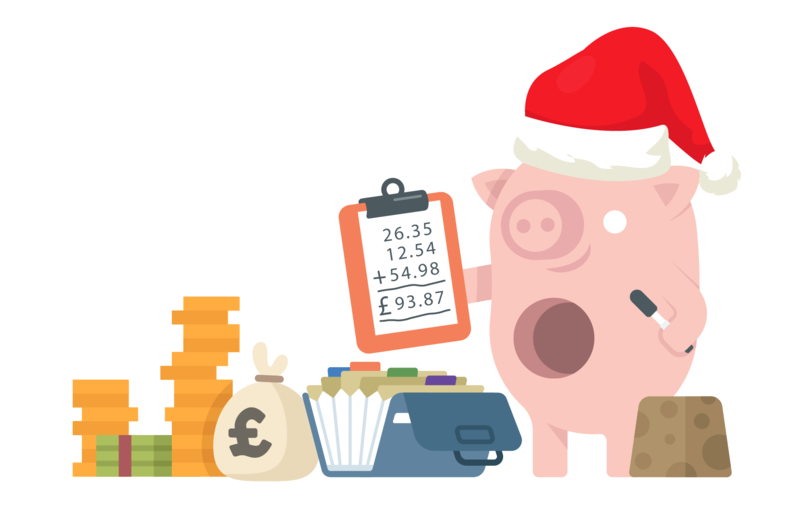 In January, set yourself a goal to put aside £20 a month for a ‘festive fund’ – by December you will have £240 to spend over Christmas! In this video Hannah talks about the benefits of yoga, her teacher training course, and why she decided to learn how to teach yoga. Join the Hello Grads network! Signing up to write for us enables you to write blogs for our site, add comments & receive our newsletter. Would you like to receive our monthly Gradvine news with exclusive content & offers? Please sign up to join the Hello Grads network to add comments & receive our newsletter.